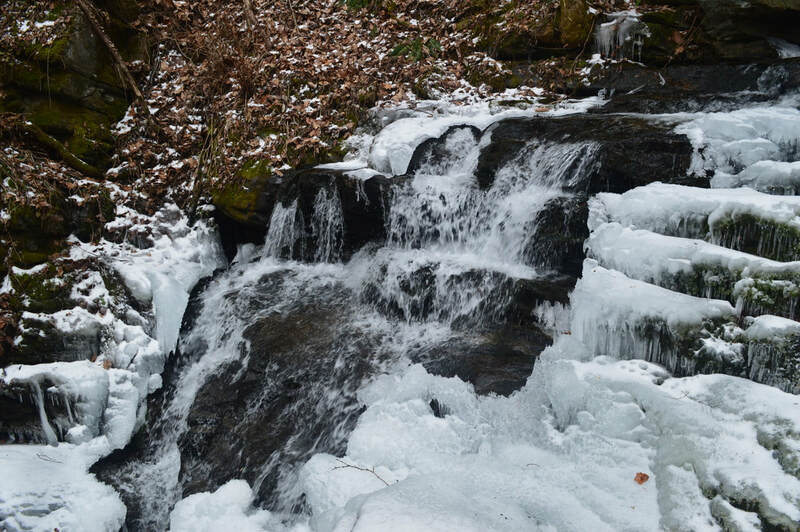 Waterfall Info: This impressive set of boulder-strewn cascades and slides is the main waterfall on Hassler's Mill Creek. It's best seen during periods of high flow. Some references suggest that there are other waterfalls upstream but no significant falls - only small cascades and slides - were found. Access Info: The falls is located right on Bike Trail #301. You can reach the area via Fort Mountain State Park trailheads for Bike Trail #301 or Gahuti Trail.